﻿ AER20-200 : Vinyl EP Glycosaminoglycan Sulodexide out now! AER20-200 releases glitchy beats on vinyl! 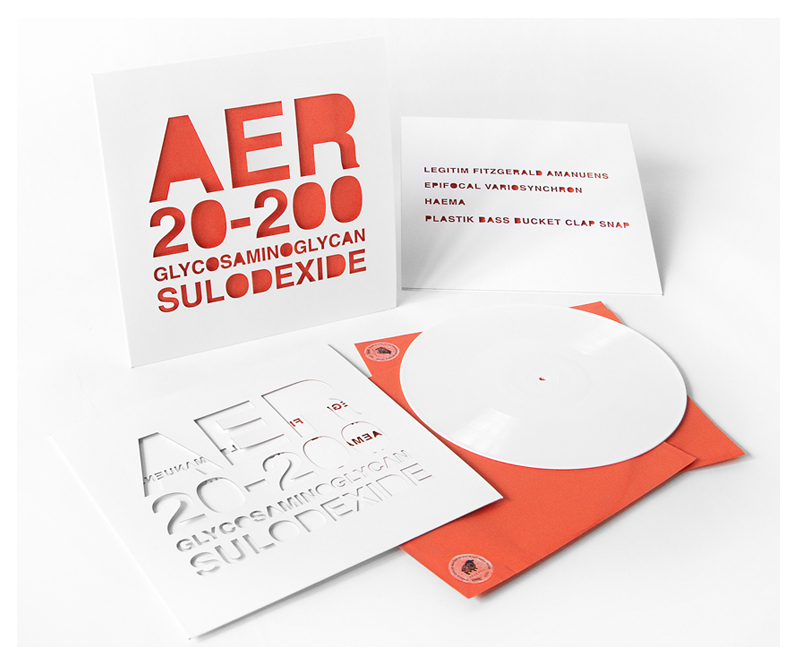 AER20-200's debut EP Glycosaminoglycan Sulodexide is now available on a 12” 45 RPM vinyl record. The four track release mixes dark and noisy ambient with glitchy percussions and heavy bass beats. Scroll down to hear a sample track. The EP's first pressing, on white vinyl with laser cut sleeves, is limited to 200 copies. Want one? The price is 12€ + postage fees (shipping from Helsinki, Finland). Please fill in your name and e-mail address for ordering details. Please re-type your e-mail address. Glycosaminoglycan Sulodexide (SIKO-026). All tracks by AER20-200. Mastered by Jaakko Viitalähde (www.virtalahde.com). Sleeve design by Antti Kangas. Special thanks to Kimmo Palander. (C)&(P) Antti Kangas 2010. All rights reserved.